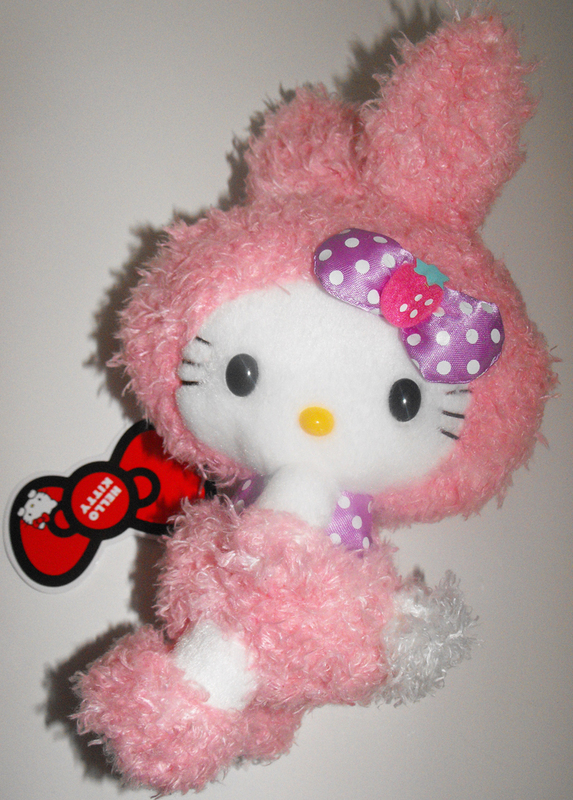 Hello Kitty Pink (with purple bow) Fuzzy Bunny Plush, 8 inches tall, from Sanrio and Eikoh. Brand New, never used. Brand new and never used. Comes in plastic wrap with tag attached to doll.